Click these thumbnails to see the pictures full-sized. 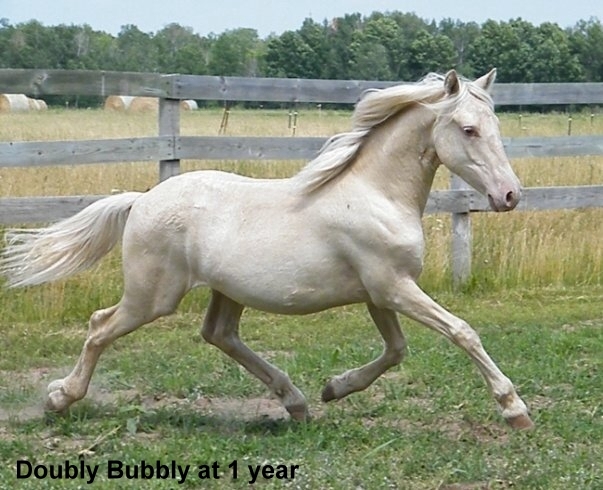 Doubly Bubbly of Legend Woods: 2008 Homozygous Gold Champagne Friesian Heritage, Sport Designated, Pony Stallion, son of Ukiah Norsk by Wopke fan de Slachtedyk by Rypke 321. 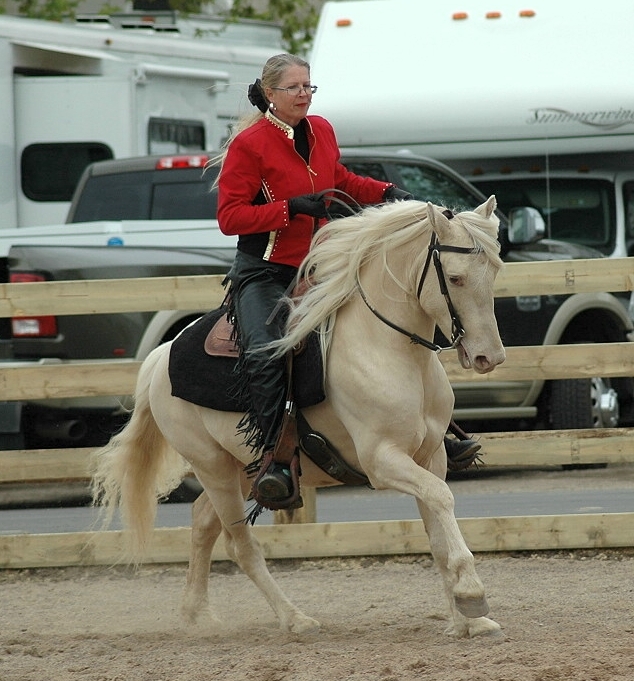 "Dublin" is 1/4 Friesian 1/4 Saddlebred and 1/2 Pony. 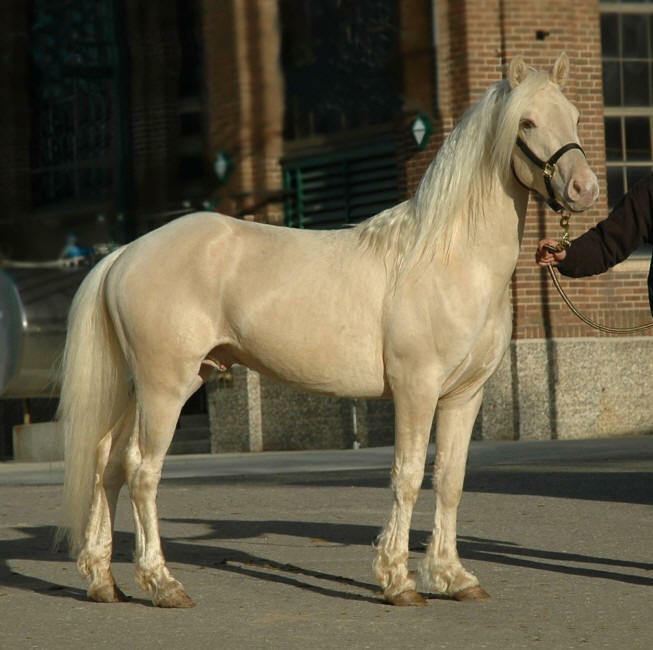 He was 13.3 hands as a coming 4 year old - we do not expect him to exceed 14.2 hands. Color tested: eeAaCHCH (red base, one copy of bay and two copies of Champagne). 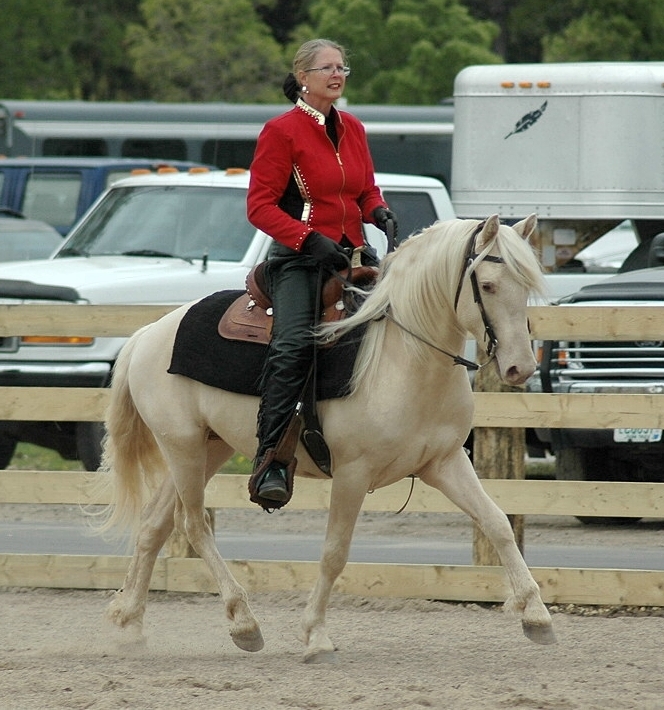 At inspection he earned "sport-type designation" and the judge commented that he could "hold his own against the high dollar European Warmblood ponies". 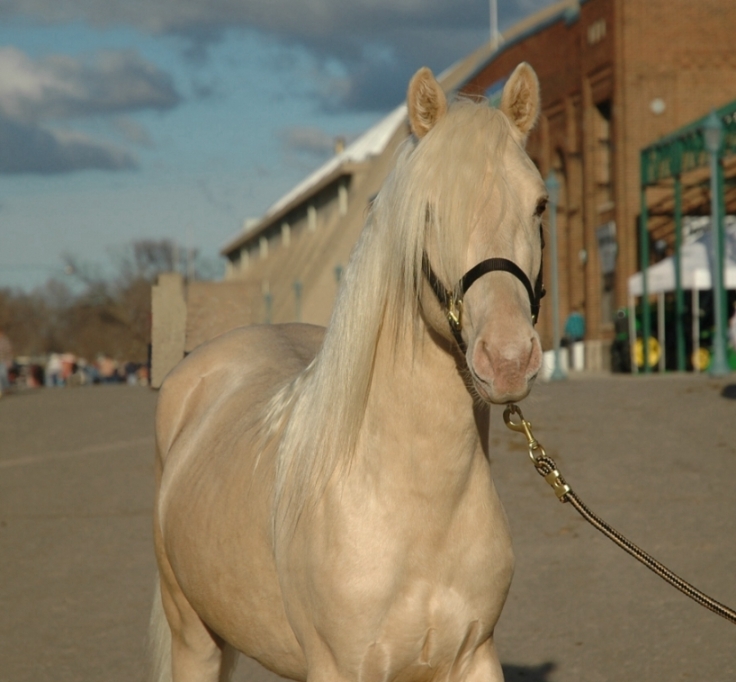 His first foals are due in 2013! We know they will be champagne - if he passes on his movement, like he will pass on his color, these foals will be fantastic! Dublin has a great personality, too! Such a character!